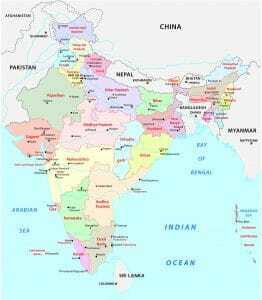 Indian patent laws, no longer the pharmacy of the developing world? India holds a unique position in the generic market. Commonly referred to as the “pharmacy of the developing world”, India exports huge volumes of generic medication. This forms a multi-billion dollar industry within India. This low cost generics market has improved access to lower price medications in India, as well as allowed for the export of low price generics to developing economies globally. However, amidst recent grants of “patent monopolies” and the potential for trade deals that involve more patents to be enforced on India, many believe the end is in sight for India’s provision of low cost generics. India’s unique position in the generics market resulted largely from differing patent policy for medications in India. Before 2005 India had considerably different legislation regarding patenting compared to most other nations. Most countries adopt a “product patent” in which a particular product, in this example a medication, is itself the focus of the patent and protected as such. In India however, a “process patent” was used, defining an invention (the medication) by the process by which it was made rather than the product produced. The Act of 1970 (regarding the process patent) defines an invention as follows: Invention means any new and useful process, method or manner of manufacture or substance produced by manufacture that includes any new and useful improvement. This allowed for generic medicines to be produced in India while product patents were still active in other countries. Generic companies could arrive at the same unprotected product through a novel method and still remain within the law. This effectively meant that by changing minute aspects of the production process, Indian generics could replicate cutting edge medicines and sell them at a fraction of the cost as they did not need to account for huge sums invested into research. This created a flourishing generics market in which competition has hugely driven down some prices. India’s use of compulsory licenses has allowed Indian generics to undercut branded medicines, in some cases by around 90 percent. Hyderabad-based Natco Pharma for example was allowed by India’s patent office to produce a generic version of German pharmaceutical company Bayer’s cancer drug Nexavar under a compulsory licence. The license was set in 2014 and was repeatedly challenged by Bayer with no success. 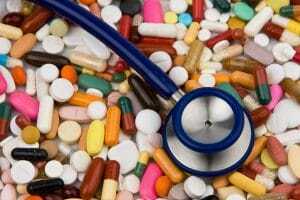 At the time of the creation of the generic version, Bayer’s branded medication reportedly cost around $4500 for a month’s dosage, Natco’s generic version was sold in India for $145. In further developments that continued to push the buttons of Bayer, the Delhi High Court in a ruling this year has allowed for Natco to export its version of Bayer’s patented drug sorafenib tosylate for experimental purposes. This effectively allows Indian generics to undercut Bayer not only in Indian sales, but on an international level as well. For example, Bayer exports Nexavar to China to run bioequivalence and bioavailability studies, if China can purchase the generic version from India for a far lower cost they are likely to do so. Condemnation from international pharmaceuticals leading to India issuing more patents? India has frequently drawn condemnation from international pharmaceuticals for these deviations from international patent laws. Research costs of creating a new medication — estimated to now, on average, exceed $2.5 billion — are undertaken by these pharmaceutical companies, Indian generics are seen to be profiting from the investments made by these companies in developing the medicines. However, is India gradually falling in line with international patent laws? India introduced in 2005 a set of patent laws that more closely adhere to international trading regulations and now has to adhere to patent laws on all medications sold within its borders. However, India still independently decides which medicines are granted a patent, as shown with Nexavar not being granted a patent despite receiving a patent many years previously in other nations. India also prevents the process of “evergreening” in which a company takes out a patent on the same product, sometimes through marginal alteration of the original product. This method allows for extension of the original patent license. Due to this, patents that have been renewed in other nations are often not granted again in India. Recently India granted a patent to US based pharmaceutical company Pfizer on the PCV13 pneumonia vaccine. This has drawn widespread condemnation by the Indian media as well as global medical humanitarian organisation Médecins Sans Frontières (MSF) who claim the move to be a major setback in the provision of affordable vaccinations. MSF claim they have not ruled out a legal challenge against the patent. Critics of the patent have argued that by granting a monopoly on distribution and sale within the country many poorer citizens will not be able to afford the vaccine. For India, which holds the highest global burden of pneumonia cases and deaths, this represents a considerable setback for access to vaccinations in the country. However, the situation may not be as grim as the critics of the patent convey it. NGOs such as GAVI are providing PCV vaccines to India’s Universal Immunization Program free of charge. Therefore claims that the poor in India will remain unvaccinated are likely overblown. On an international scale, this has been considered as a move by India to fall in line with global patent legislation, with some suggesting that India may be falling from its pedestal of the pharmacy of the developing world. These claims may be overblown, the Pfizer patent not only comes a decade later than the patent was filed internationally, but alternative vaccines are already being produced in India developed by Serum Institute India which do not violate the patent. Further calls that India may revoke its place as one of the world leaders in generics relate to the potential signing of Regional Comprehensive Economic Partnership agreement (RCEP). A file leaked in 2016 and elaborated on by The Hindu reveals that as part of the trade agreement, India would need to allow the imposition of intellectual property rules that “go beyond international trade rules” proposed by both Japan and South Korea. These could potentially see the establishment of monopolies that could prevent Indian generics from producing cheaper copies. The enforcement of this would be largely through the proposal of “data exclusivity” laws, which would prevent generics companies from using the research data of the original medicine. With patents being approved and a potential for further patents being enforced as part of the RCEP the question arises, is the pharmacy of the developing world set to crumble? The likely answer is no. The reason: there are equal measures of positive news regarding India’s generics market as there are potential negatives. For example, while some patents may have been approved, other medications, such as Gilead’s cutting-edge hepatitis treatment Epclusa, have permissions in place for several Indian generics to produce cheaper versions. This has triggered a price war that has considerably brought down the cost of the generic versions, with multiple companies competing to undercut each other. Many of these generics are issued under a voluntary license. This involves the patent holder allowing other companies to produce generic versions of their branded product under the condition that a nominal royalty is paid. The medication falls under a 2014 pact that allowed Indian generics to produce patented medication for hepatitis C at a low cost with the intention of providing the cheaper medications to a long list of developing nations. 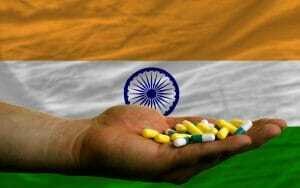 This has coincided with further measures by the World Trade Organisation (WTO) that have allowed India to continue its provision of generics to developing nations. Many developing nations — a large number of which are in Africa — due to their high rates of poverty and burden of transmittable diseases have been granted a waiver by the (WTO) to be allowed the importation of generics without the consent of the patent holder. This waiver was due to expire in 2016, though was voted to be extended until two thirds of WTO members ratify to revoke the extension. The waiver allows many African nations to benefit from generic imports of drugs that are still under patent, allowing cheaper costs. This is set to be in place until these nations have the capacity to produce generics domestically. A huge number of the generic imports come from India, which despite being regarded as developing, is not included in the WTO waiver. The continuation of the WTO waiver alone presents a positive outlook for India’s generics market. While its exclusion from the waiver list could imply that many medications produced may not legally be able to be sold within India if a patent is in place, the generics companies may still be allowed to supply the developing nations on the list. The hugely competitive prices of the Indian generics market will therefore likely ensure its place as the pharmacy of the developing world for years to come. Threats to this position are likely to come from China. Heavily subsidised generics production has allowed China to market medicines as cheaply, or in some cases cheaper than India. China is also attempting to break into the same markets in the developing world. This could either lead to a price race to the bottom between the two nations, or one gaining a monopoly.